The classically developed Fundamental Biblical Hebrew and Fundamental Biblical Aramaic by Andrew Bartelt and Andrew Steinmann is now available in a new format with a more readable font. 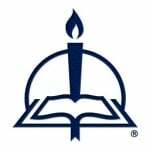 In addition, downloadable resources for learning these critical biblical languages are available. Students of the biblical languages will find in one volume an introduction to both Hebrew and Aramaic. While a basic textbook and grammar for the purpose of theological study, Fundamental Biblical Hebrew and Fundamental Biblical Aramaic can also function as a desk reference for pastors engaged in the study of the Bible in its original language. The instruction for each language features translation and reading exercises, paradigm charts, and glossaries. 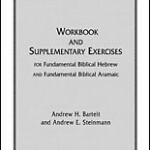 Fundamental Biblical Hebrew and Fundamental Biblical Aramaic can be supplemented with a workbook that includes all the exercises found in the textbook as well as additional supplemental resources to reinforce learning. The downloadable resources (available under the “downloads” tab on the product page at cph.org) include chapter summaries, information on how to use lexicons, tips for parsing verbs, and more. 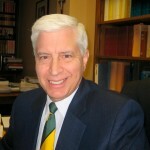 In the following interview, Andrew Bartelt, author of Fundamental Biblical Hebrew and Professor of Exegetical Theology at Concordia Seminary, St. Louis, MO, reflects on the importance of learning the Hebrew language for reading and understanding God’s Word and on his continuing passion for educating the future pastors of the church. What originally attracted you to the Hebrew language and influenced you to make this a life focus? Frankly, I had some very engaging teachers who fostered a love for language and imparted a sense of the importance of understanding God’s Word from within its original setting. This started in my Greek classes with Doc Jennrich at Concordia, Milwaukee (back in the day), to the great team at the old senior college, including John Ribar, Merlin Rehm, Roddy Braun, and Herb Spomer. This continued with my studies under Henry St. John Hart at Cambridge and included my time with Horace Hummel here at the seminary. Also, Hebrew is easier than Greek—at least once you learn the writing system! How has the process of teaching Hebrew changed during your career? I’m still committed to the more deductive approach of teaching Hebrew, that is, actually learning paradigms and grammatical principles. It’s not the natural way we learn languages, but it is the most efficient and effective for our exegetical purposes. Fundamental Biblical Hebrew also intentionally engages the biblical text right away, working on reading and oral skills and discovering how morphology, grammar, and syntax function in real sentences—thus helping the reader decode and understand. We often debate the pros and cons of the more intensive approach that we now use at the seminary (trying to concentrate at least two to three traditional semesters into a ten-week course). Although students focus almost exclusively on the language, they really do need the luxury of continuing the learning over time so everything can soak in and better take root. This is the preferred route in our Concordia University System, which is why Andrew Steinmann (at Concordia University-Chicago) provided the supplemental exercises found in the workbook. Our seminary language courses don’t have time to do all the basic exercises in the textbook, but in a couple of full semester courses at the university level, one can do more drilling and even reading. As our seminary student population has changed to include more second-career students, this affects how we teach the languages they are required to learn. The adult learning style of those returning to the classroom affected the choice of and number of vocabulary words in each lesson (no more than fifteen to twenty words in each chapter). That is about the most that can be learned overnight with any hope of retention. And the exercises drill the material in a variety of ways, some of which intentionally enhance the presentation of the material itself. What is unique about your approach to teaching Hebrew grammar? What do you want your student to take away, beyond the ability to read the language? I just mentioned some of the approaches that are engaged in the textbook, including a mix of deductive and inductive learning. I often use the exercises and drills as part of the teaching and presentation of new material, because they move from the known to the unknown, changing one variable at a time. In fact, this is one of the key features of the text as a teaching textbook: it clearly and carefully moves from regular patterns to irregular patterns to reinforce learning and recognition. The verbal system is presented as closely to the actual biblical use as possible, beginning with finite verbs (chapter 4) and getting to the most common waw-consecutive forms by chapter 8 (and properly explaining them as linked to the historic preterite, which is often misunderstood and even misrepresented in textbooks). The Qal conjugation is presented in its entirety, first regular and then irregular forms, as these represent almost 69 percent of the verbs in the Hebrew Bible. The text then fills in the rest of noun morphology and returns to review the Qal as the basis for the rest of the verb system, which is treated fully. Too many basic texts simply introduce the other verb conjugations (binyanim) at the end, almost as “for further study,” leaving the student unprepared to tackle biblical texts. I want students to take away the importance—and sheer joy—of understanding God’s Word in the very language of Moses and the prophets. This includes exploring insights gained through the nuances and precision (or sometimes the lack thereof!) of words used in their original contexts of language and history, as well as exploring the insights gained through understanding the history of language, as the Word of God is “incarnate” in common, everyday human language used by real people in sometimes ordinary and sometimes quite literarily extraordinary ways. The “art” of translation is really an exercise in crosscultural ministry, engaging a good deal of cultural and linguistic anthropology, moving from how best we can determine “what it meant” to what it means, as we ourselves move from exegetically competent “receivers” (receptors, readers) of texts to those who deliver the truths as proclaimers, writers, teachers, and witnesses. I’m working on Isaiah 1–12, a contribution to the Concordia Commentary series, and I have submitted a rough first draft. But it needs a lot of cleaning up, and I am looking forward finally to getting back to it. Click on the following link to read an interview with Andrew Steinmann, author of Fundamental Biblical Aramaic.